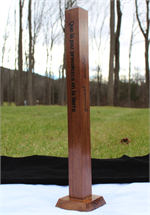 Our low maintenance and weather proof Classic 8 Language White Peace Pole is made of white vinyl. 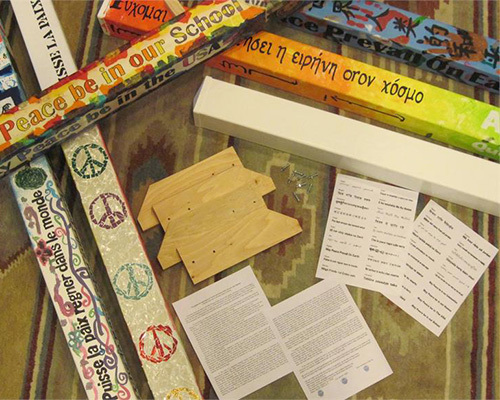 4-sided Indoor/outdoor Peace Pole crafted at The World Peace Sanctuary - available in 7' and 7'6"'. 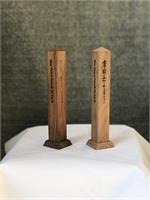 Our low maintenance and weather proof Classic 4 Language White Peace Pole is made of white vinyl. 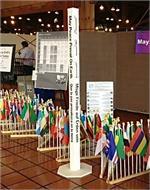 4-sided Indoor/outdoor Peace Pole crafted at The World Peace Sanctuary - available in 6', 7' and 7'6"'. 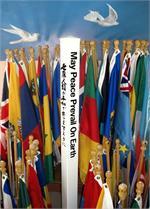 Custom Mini Peace Poles with the language combination of your choice.